So much has happened such as the passage of more stringent laws and the establishment of more ‘Complete Streets’ legislation and the passage of the Fixing America’s Surface Transportation Act since we first published this series in 2011. It’s important to note that our list differs slightly from The League of American Bicyclists’ 2017 “Bicycle Friendly State Rankings.” That list takes into account many factors including bicycle legislation, infrastructure, education, and enforcement. While these are important factors (and we considered their data to help with our list), our focus is a little bit more specialized. Our focus on the GJEL blog is safety, so we put that front and center to come up with the five states below. While the LAB has a long history of supporting safety initiatives for cyclists of all ages, the group has long been divided in its support for mandatory bike helmet laws. For this reason, the LAB may not consider states with laws mandating helmet use for children, for example, as “friendly” to cyclists. So we’ve put together another list of great states for bicyclists, with a little more emphasis on states that advocate the maximum safety requirements legally. We looked at a variety of factors, including bicycle helmet laws for children, cycling under the influence laws, the LAB ranking, and cities included in Bicycling Magazine’s list of 50 great bicycle cities. Take a look, and leave your thoughts in the comments section or on our Facebook page. Please review the list below and let us know what you think in the comments. Helmet Law: Ages 15 and under. Cycling under the Influence Law: Yes. Bicycling: Portland ranked #2; Eugene ranked #5; Salem ranked #19. In recent years, Oregon’s legislature has passed a bevy of laws to benefit cyclists, including a requirement for large vehicles to have “crossview mirrors” to detect cyclists, and a “Share the Road” license plate to help raise funds for the state’s Bicycle Transportation Alliance and Cycle Oregon. Helmet Law: Ages 18 and under. Bicycling: Has a grand total of 13 cities in the top 25Most improved from seven years ago, a success story due to their passage of multiple directives since 2011, such as various ‘complete streets’ directives. For example, Caltrans were directed to implement ‘complete streets’ in 2008 and this was renewed in 2014. The Bicycle Safety Act was passed in 2009 and multiple cities have ‘complete streets’ legislation and policies and more have plans in place. Both of the cities listed in the top 25 for Bicycling magazine have ‘complete streets’ plans in place. One of the most improved states thanks to their passage of local laws making ‘complete streets’ designs common statewide. Sarasota County and Orlando are set to receive grants from the University of North Florida later in 2018 that seek to improve bicycle visibility and have set a goal to have zero pedestrian deaths by 2040. Additionally, more than a few counties and cities in Florida have started to implement ‘complete streets’ plans and legislation. Why did ‘complete streets’ legislation come up so often in our post? Well, we here at GJEL support legislation and infrastructure that makes life safer for everybody, including pedestrians, drivers, and bicyclists. ‘Complete streets’ legislation has the stated goal of “a transportation facility that is planned, designed, operated, and maintained to provide safe mobility for all users, including bicyclists, pedestrians, transit vehicles, truckers, and motorists, appropriate to the function and context of the facility” from the Department of Transportation of California (http://www.dot.ca.gov/transplanning/ocp/complete-streets.html). Furthermore, we also support this because it, according to the Oregon Department of Transportation, “can be created at a cost similar to roadways without sufficient sidewalks and bike lanes, particularly when narrowing street width” and “complete streets are an important component of many greenhouse gas reduction strategies” (https://www.oregon.gov/ODOT/Planning/Documents/SR-Complete-Streets-Policy.pdf). ‘Complete streets’ legislation is safer for effectively the same cost as an incomplete street. We mentioned the Fixing America’s Surface Transportation Act earlier. This is a wide ranging legal act covering many things in America, including pedestrians and bicycling, that was passed in 2015. The League of American Bicyclists mentions (https://bikeleague.org/content/what-know-about-fast-act) that “[The Fixing America’s Surface Transportation Act] includes an increase in funding for bicycling and walking and makes nonprofits eligible for that funding” and that “the bill also creates a new safety education program and, for the first time, includes complete streets language.” They also state that it “creates a priority safety fund to reduce bicycle and pedestrian fatalities. The program will focus on: education of law enforcement; education of motorists, drivers, bicyclists and pedestrians; and implementation of enforcement campaigns”. The Fixing America’s Surface Transportation Act also directs “the US DOT to encourage states and Metropolitan Planning Organizations to set design standards to accommodate all road users” and required a report to be produced two years after the bill was passed. You can find that report here (https://www.transportation.gov/sites/dot.gov/files/docs/Appendix-III-FAST-Act-Summary-of-DOT-Research-and-Development-Activities-2-11-2016.pdf). What is ‘complete streets’ legislation? Furthermore, we also support this because it, according to the Oregon Department of Transportation, “can be created at a cost similar to roadways without sufficient sidewalks and bike lanes, particularly when narrowing street width” and “complete streets are an important component of many greenhouse gas reduction strategies”. (https://www.oregon.gov/ODOT/Planning/Documents/SR-Complete-Streets-Policy.pdf). ‘Complete streets’ legislation is safer for effectively the same cost as an incomplete street. What ‘complete streets’ looks like may vary from place to place based on the needs of their residents and their location. For example, as the National Complete Streets Coalition puts it, “A Complete Street in a rural area will look quite different from a Complete Street in a highly urban area, but both are designed to balance safety and convenience for everyone using the road”. The NCSC also states that it benefits a multitude of groups, including adults, children, people with disabilities, and the elderly through the vision that makes communities possible to be “designed and operated to enable safe access for all users, including pedestrians, bicyclists, motorists and transit riders of all ages and abilities. Complete Streets make it easy to cross the street, walk to shops, and bicycle to work. They allow buses to run on time and make it safe for people to walk to and from train stations”. Always wear a properly fitted helmet. While it may provide limited protection, it can be your last line of defense between you and serious injury. Avoid alcohol and bicycling. According to the Center for Disease Control, 37% of bicyclist deaths in 2017 “had alcohol involvement either for the motor vehicle driver or bicycle ride” (https://www.cdc.gov/motorvehiclesafety/bicycle/index.html). It can also cause you to get a citation, a fine, and possibly your license taken away in some states. Make sure that you are wearing visibility prone clothing and using a red light for your backend and a white light for your front end, especially at night. Be aware of your surroundings. Additionally, do not wear headphones while bicycling. Headphones can reduce your awareness or distract you. Maryland does NOT place default blame on motorists in accidents and more importantly maryland civil laws uses contributory negligence, which means if you are injured in an accident and the judge feels (for any reason) that you contributed in any way, then the lawsuit is dismissed completely. 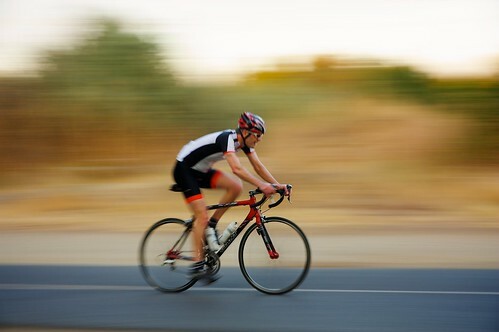 Motorists dont get hurt in crashes with bicyclists, but MD bicyclists do, but they effectively cant sue. Plus MD law enforcement has a history of defining dead cyclists at fault (since they could only interview the living motorist) as well as refusing to charge motorists in cyclists death even when there is ample evidence. Even the fine you referenced is almost never given out, and it is not unique to seriously injuring a cyclist. Google maryland and Yates, Kranspooler, or Pettigrew and you will quicly get your facts straight. What you completely miss is how is it actually to bike in these states. Is bicycling safe, fun, easy? By that standard MD fails completely. We have the 2nd highest bike/ped fatality rate in the nation. There is little to no bike friendly infrastructure, and cops here routinely and publicly mistate the law, bad mouth cyclists, and are caught on camera harassing cyclists. This blog entry is an epic fail in terms of actually reporting. You did get Oregon right though. Oh yeah, and our DUI law is applicable to cyclists….so no we dont have a specific “biking while drunk” law…but our dui law specifically includes cyclists…. and since when has drunk cycling been a safety epidemic? if you want to talk about safety how about looking at state laws aimed at preventing known bike safety issues…such as say..right hooks? another reason to do better reporting. Thanks for your comments. As I wrote above, we understand that our metrics aren’t perfect, which is why we are glad to get feedback. Our decisions were based on facts gleaned from internet research and great bike states rankings from other groups like the League of American Bicyclists, and we were unfortunately not able to personally test the roads in all 50 states. For the same reason, we were not able to test all 50 states on how the laws are interpreted and applied. That’s why, as we state above, our list of five states was based on laws on the books and programs in place designed to make cycling safer. Thanks again for your comments. It’s great to hear more from people who actually live in these states about how (if at all) the laws are applied.